WASHINGTON — A new year brings new goals, and for many, health becomes a priority come Jan. 1. Holiday cookies are replaced with whole grains and cocktail parties get bumped for spin class. If you’ve resolved to become a healthier you in 2019, it’s time to lace up some shoes and hit the pavement. 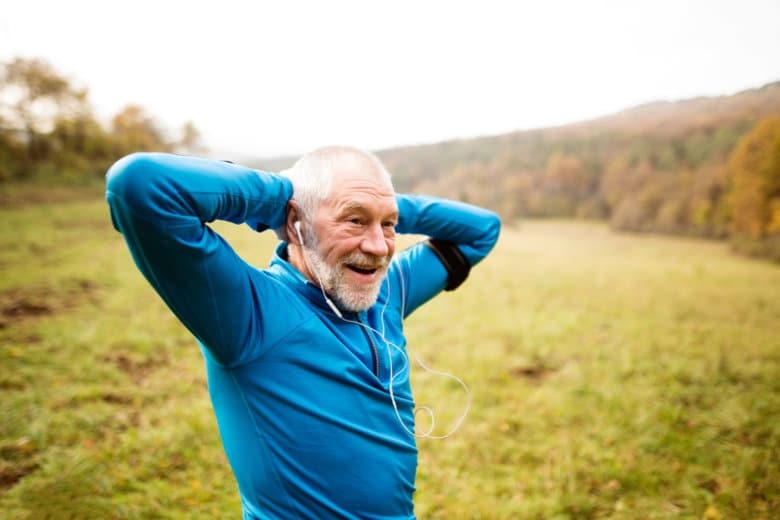 Dr. Mark Cucuzzella, a running expert and professor of family medicine at West Virginia University, said running is one of the best ways to get fit and stay healthy, even into old age. He shared some advice and tips for seasoned runners and those just getting started. Take note of any backyard or playground, and chance are, you’ll see kids running around. Cucuzzella said almost all humans grow up running, and it starts at an early age. The key is to keep it up past grade school. Balance plays a huge role in running — “because running is a series of jumps where you have to land on one foot, stick that landing and get off the ground,” Cucuzzella said — so working a few balance exercises into your daily routine can help ensure you stay safe and injury-free out on the road (or trail or treadmill). Try standing on one foot for a minute or two, rotating between legs, while you brush your teeth or scroll through social media feeds. If you have a standing desk at work, make a habit of balancing on one foot while you respond to emails. A little fine-tuning goes a long way. “Just spend as much time as you can on one foot trying to master that balance and never lose it,” Cucuzzella said. Pause on the platter of pasta: When it comes to running, or any sport, food counts. “If you eat junk food and a lot of sugary stuff and you end up with diabetes and heart disease, then it’s going to be hard to run,” Cucuzzella said. A diet rich in fruits, vegetables and “real food” is the foundation of good health. “Just keep your health and then the running is small details; it’s just getting outside,” he said. If it’s been a while since your last run, ease into it. Cucuzzella recommends beginners start off with a mix of walking and slow jogging. This isn’t the six-week plan; get yourself out the door and just continue,” Cucuzzella said. If you don’t enjoy running, Cucuzzella said find something you do enjoy and keep doing it. “Stay healthy because you can’t medicate yourself to health,” Cucuzzella said.